“Some Singaporeans rationalise that we are a pragmatic people, uninterested in the airy-fairy notions of democracy. I have spent the better part of my life persuading Singaporeans otherwise and I will continue to do so for as long as providence beckons. Those who know better and those who care – even if we are presently outnumbered – must remain stout. All the best to you n your family. Hope sgs wake up to the good you are trying to do for country n people. In the early days before and after independence, things were then unpredictable and a strong tough government was needed. The situation and the circumstances then threw up a good team. We are fortunate in that sense. Overall we did quite well. But the resultant situation is not perfect. However in fairness nowhere in the world could you get a perfect situation. In the early days it could be concluded that they do not tolerate any form of opposition. To them, opposition will only hinder or slow down what they have set out to do. To some extent that’s understandable as many unknown characters participated in politics. In a small country and the then fragile state, you cannot take chances, you cannot afford to gamble away the well being of the people. So the line taken is, all “suspect” opposition are no good and must be removed at all costs. Rightly or wrongly that was the stance and attitude of the ruling clique towards any opposition. Up till today, most unfortunately, that intolerant stand remains unrevised and not reviewed. The unfounded “fear” and “phobia” of the rulers towards the opposition is truly amazing. Is it greed or the craze to hold on to the sweetness of power and the ego? Surely hope it is not that! Obviously they are not keeping up with the times and the new age in this regard. Unfortunately many good men notably the late JBJ and Dr Chee Soon Juan are sad fallen victims of their “sickness” that have engulfed the minds of the ruling clique till today. It is most unfortunate that a number of the highly qualified and scholarly in the clique still believe, adopt, apply and practice this sort of demeaning and senseless intolerance towards any opposition. They are continuing to “destroy” them at every corner and turn with all sorts of obstacles being thrown in their path. It is all clear to see. The opposition don’t stand a chance. It will be the biggest mistake to not allow a healthy opposition to take shape. The good governance of a country today depends on having good honest people in politics and they may not have similar views and ideas. We are now in the age and wave of ideas and thoughts. Progression in diversity is the buzzword of today. We will be the losers if we do not allow openness of expressions and thoughts. Admittedly it will be a bit untidy. But do we have a choice? Country and people will be the losers in the end if we choose to live in a “protected” and “safe” cocoon however well meaning that may be. Are we mature and “adult” enough and ready? Or we may be left far behind if we are not realistic enough to change and keep up with the times. Senior Citizen’s above posting is quite perceptive. 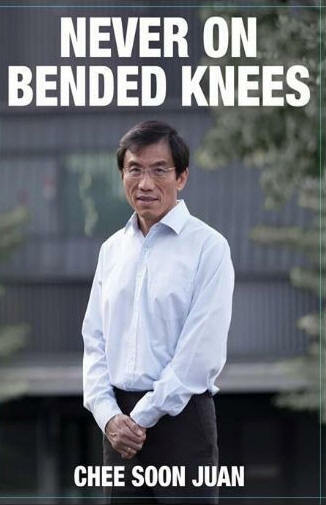 Well, they had always said we had “too few talents” (including meaning, crucially, persons who think as LKY, called by the more sympathetic “benevolent dictator”), and had gone through excruciatingly rigorous exclusive processes selecting the Gs. And then the selected LKY-like-minded they sealed, wittingly or not, with very high pay, which Ngiam Tong Dow said their wives wouldn’t do without even were they to relent somewhat. (Ngiam himself didn’t speak out till he safely retired!) So how surprising that the “intolerance of opposition” mentality persists? But then, you cannot exclude all diversity “all of the time”, as hopefully, even LKY’s very own, rigorously selected in many more senses than one, have broken loose. And it’s two-third majority breaking loose – two siblings, both LKY-bred and personally taught, against only one remaining. I MET ONE AUSSIE VIETNAM WAR VETERAN in a mining camp who told me this – too many congregate in a “safe” fortified bunker is a VERY DANGEROUS STUPID MOVE in times of danger or threats emerging. Why? You give the attacking Vietcong the perfect opportunity to lob a couple of hand grenades and all inside that “safe” bunker will be blown up in shattered bits. When surrounded by enemy or perceived threats in fire-fight, SPREAD OUT AND DISPERSED, MOVED FAST and forced the attackers to fight one on one IN TOTAL CONFUSION – you got equal chance of eliminating him as he got of eliminating you. And even if you lost some of your own, the attackers won’t know how many is still surviving to fight them to the last. PAPpys GRC fortified bunkers is saving their political hegemony and longevity, IT IS DESTROYING the country because the worst worms got in via the backdoor and the best in opposition is eliminated by this artificial fortified bunker. GRC is not working of desired national outcome or perversely working effectively to our national detriment or both, THAT IS WHY THIS COUNTRY HAS FALLEN APART AND CLUELESS OF THE WAY FORWARD. no one will want to give up power so easily (power is intoxicating right with privilege to decide where benefits of policies will flow towards ?). change of policies will mean change of fortune or luck for many ? it is the interest of white idiots to prolong their own stay by hook or by crook (propaganda and whatnot) – all very natural. but it is the duty of daft sinkies (to educate themselves also) to prevent such long continuous stay (to inject balance like regular change of ‘auditors’) before it starts to veer towards more of a ‘dynastic power’ (especially can suka suka change laws that slowly strips away citizens’ rights to even ‘disagree / say things’ (sometimes ‘wrongly’ because of lack of information like 151th standard) ? HE Dr Mahatir has shown the way. start from get go to topple clown pap. don’t repeat past mistakes. fighting GE to be in parleeement is absolutely unworkable in clown pap regime. after all with a pliant parleeement many S$m has been abused into pap PA as clown pap war kitty. in anywhere else, even in najib Msia, such cannot happen. legalizing the use of public money for political party purposes. fight GE to rename parleeement to parliament. fight with heart and soul. don’t speak with fake accent. speak from the heart. let the words, and message, flow. let the emotion come out. too many facts not much use. hit on the key ones. CPF is one. HDB rental flat is another. INDIAN is malay is yet another. pick the key ones and keep repeating. OPPOSITION alliance, as shown by HE Dr Mahatir PH, can prevail. after all, clown pap has 30% die hard, OPPOSITION has 30% die hard, nobody has any advantage. speaking clearly without that fake accent, and in simple lingo with simple message, the 40% fence sitting fellow citizens shall swing. if they swing, then, we can together block all the exists from Singapore to prevent clown pap clan members from run road. clown pap clan members sure run road one. because by omission or by commission every one of them has lied to citizens, a jailable offence. AT age 19 , i have known the pappy to a great deal..And prepared myself on migration. Today i got off that god damned fcking place.. It will not change. When the opposition came forward , the 70% fool abandoned them. When they are no longer around the 70% will realise what foolish mistake they did. The opposition needs to use the same fear tactics as the PAP. – ” that if opposition are no longer around, things will go south”.. Sounds nice and yes quite a number of examples. However versus the total number of chinese population. Never surpass 5 %. 偷生苟活, 贪生怕死, 臥薪嘗膽, 见风使舵, 识时务者为俊杰, 蝼蚁尚且偷生, …. I have not always agreed with you Mr Chee but that is because we are both human. You will always have my utmost respect and support. God Bless You. Brexit and Trump has convinced many Singaporeans that Democracy is bad. How is Chee gonna convince these? Impossible! Brexit was the decision of the majority. They have to live with it. If they had made a wrong decision that is for them to correct it. Trump is carrying out his promises to his supporters that voted him as President ie building a wall, doing what he could to persuade American businesses to come back home and provide jobs for their own people and probably earn less instead of exploiting tax loopholes and cheap labour overseas, straightening out the theft of American intellectual properties and balancing the tariff imbalance in trade, and pulling out his troops fighting in other countries as the goals are unclear as realised now, making other countries pay for their own defence instead of defending them for free. He is clear minded on these decisions and putting in across on TV every other time. Putting aside the consequences or repercussions which are mainly the views of his perpetual critics anyway, there appears to be wrong with what he is doing. And for Brexit and Trump that’s the spirit of democracy in action. That is good. Here we have a “silent” parliament. Nothing much on TV or disclosed in the media about what is going on. The few clips that appear are mainly from the main players, speaking in measured cautious tone. Ocassionally the lesser titled ones are publicised speaking up and cannot help but notice how cautious and careful their utterances. The parliaments of other countries are mildly or wildly rowdy but they impressed. Across the causeway, parliamentarians and politicians and commentators get more exposure with what they have to say. They have evolved to overturn a six decades old ruling party without any trouble or setbacks. The system is still functioning. That’s really something. So what is poor Chee expected to do given how he has been shackled all this while. Maybe you are right, it could probably be near impossible. We have to live with the system which have seeped through our pores for many long years and have shaped our thinking and mentality. He is facing the mob and he is axing one after another who are stumbling blocks to what he has set out to do. He has a difficult task to straighten and sort things out, issues that have never been addressed as it should be. In his straight talking campaign style, he made promises repeatedly and he intends to keep it. A man keeping to his words? The massive changes he is making, some of which are drastic, is upsetting the lopsided business interests and patterns and massive irregularities in his own country and in other countries and some will obviously lose bigly and that is upsetting and rattling to some. Of course there are reacting as expected. What do you or could you expect. Is he doing this for his own personal interests? Is he one crazy guy? Did he lock up his critics? Is he keeping his words in his campaign promises? Amongst others, he met Muslim leaders very early in the day, is he a hypocrite? He is mending the fences with North Korea, is he a hypocrite? Or is he one brave and tough President? Maybe another 3 to 4 terms of Trump is needed to reset the messiness the world is in today. There will be commentaries and opinions till kingdom come. But one thing is sure, hate him or like him, he is one determined President, and look at how hard they are trying to drag him down. Is he operating within a total or partial or controlled democracy?